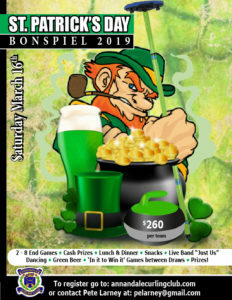 Annual event featuring two 8-end games, cash prizes, lunch & dinner, snacks, live band, dancing, green beer, "In It to Win It" games between draws, prizes! Early draw is 9am, late is 11:15am. 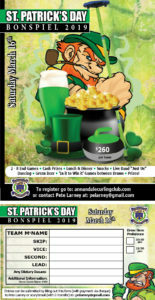 Entry fee $260/team. 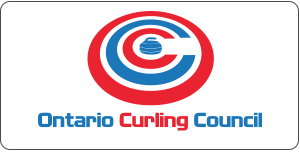 One 6-end game on Friday night to determine seeding for three 6-end game Saturday. 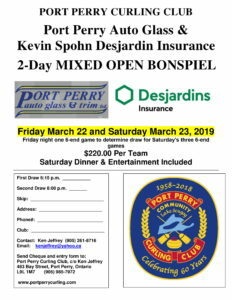 Dinner and entertainment on Saturday. 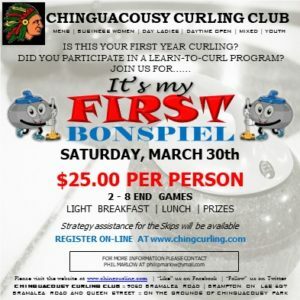 End of the year bonspiel is always a great event. 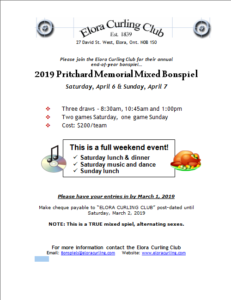 2 Draw Times Available - 9:00am and 11:00am $55 per player - $220.00 per team Another curling season ends with this Mixed Bonspiel and skate-out at the Midland Curling Club. 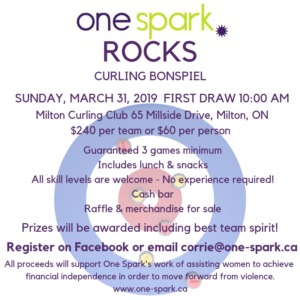 The Closing Spiel hosts 80 curlers from all sections of the club and out of town guests.